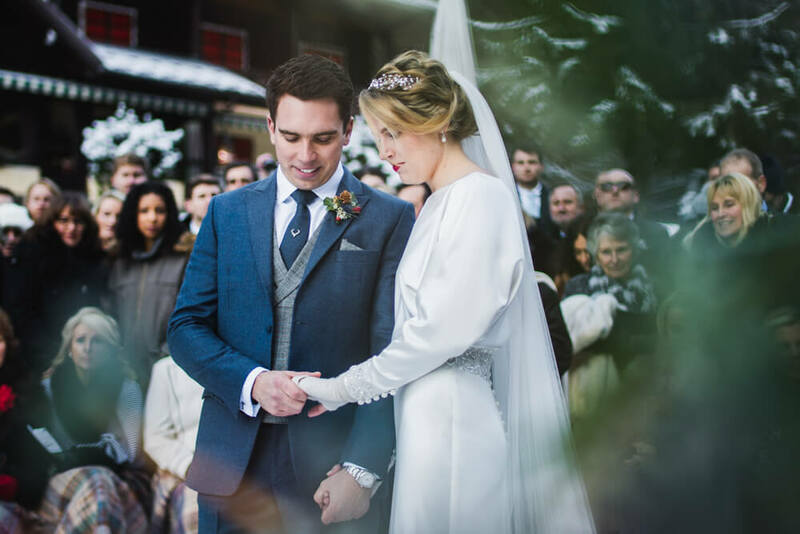 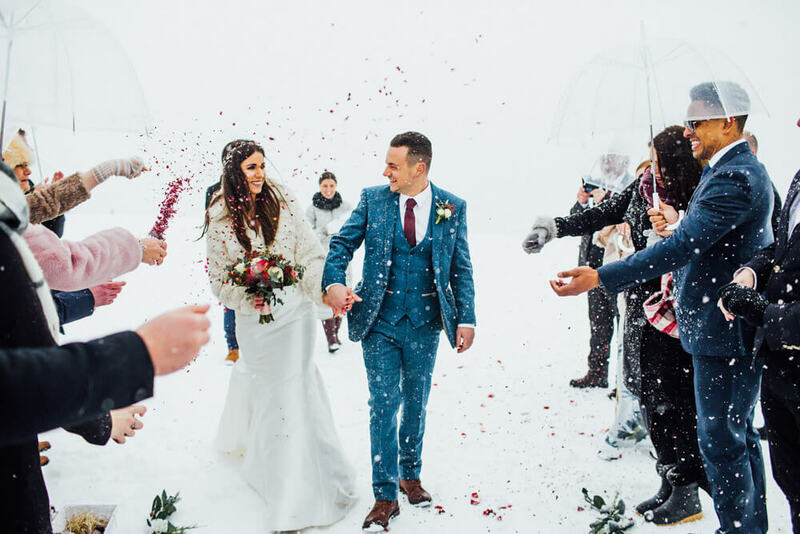 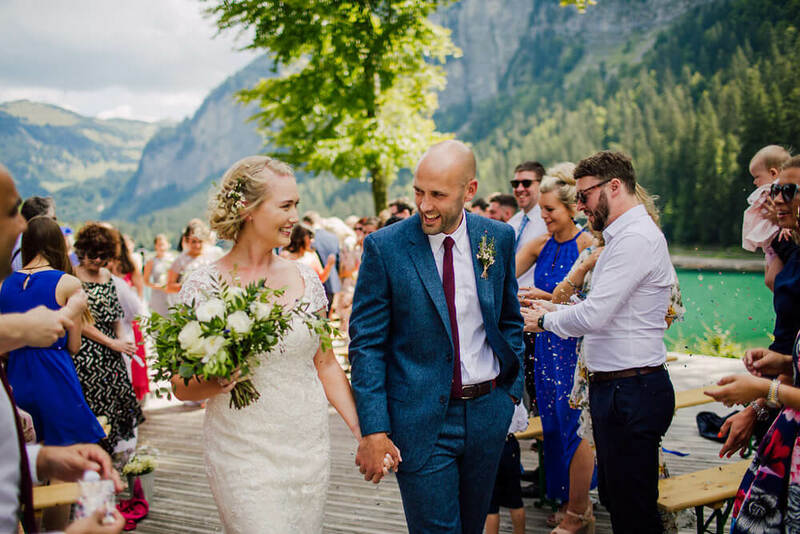 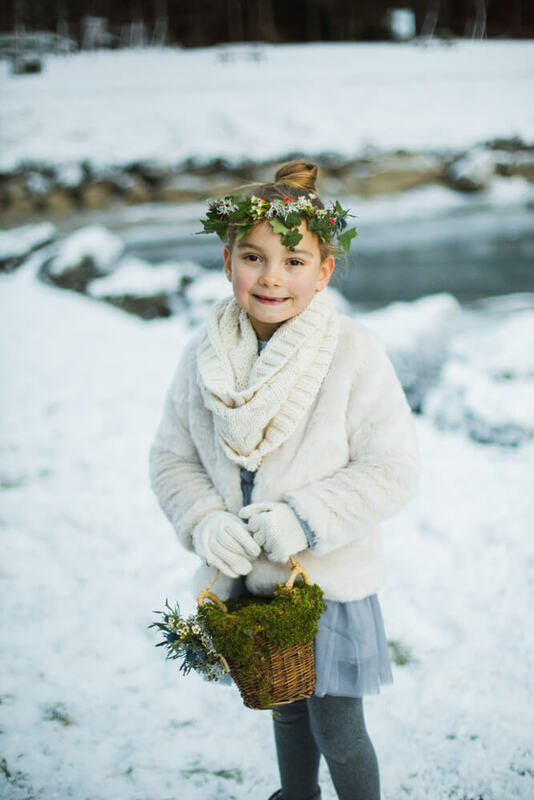 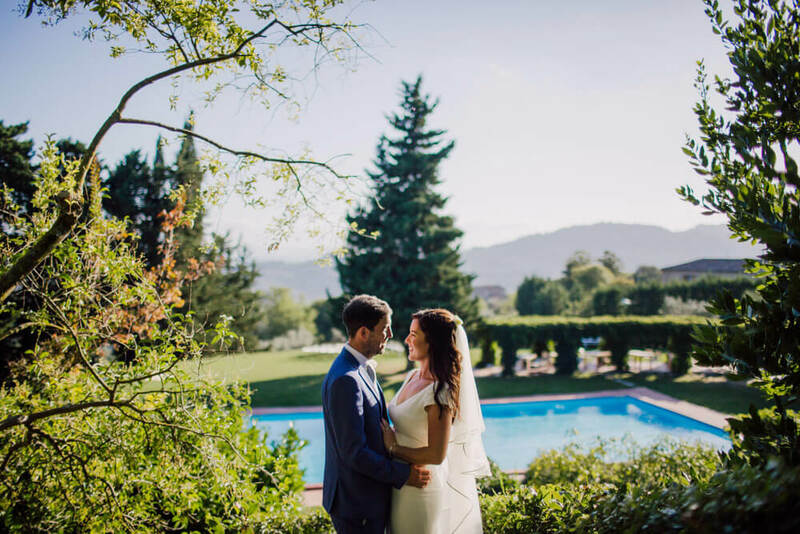 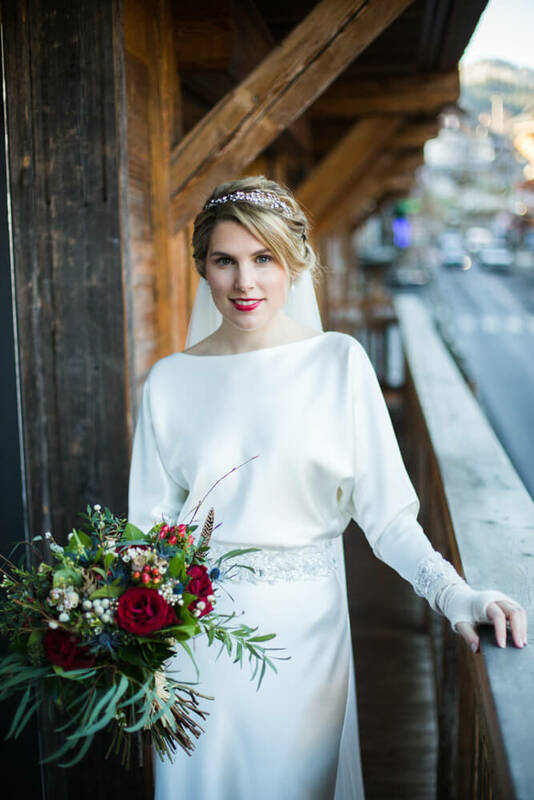 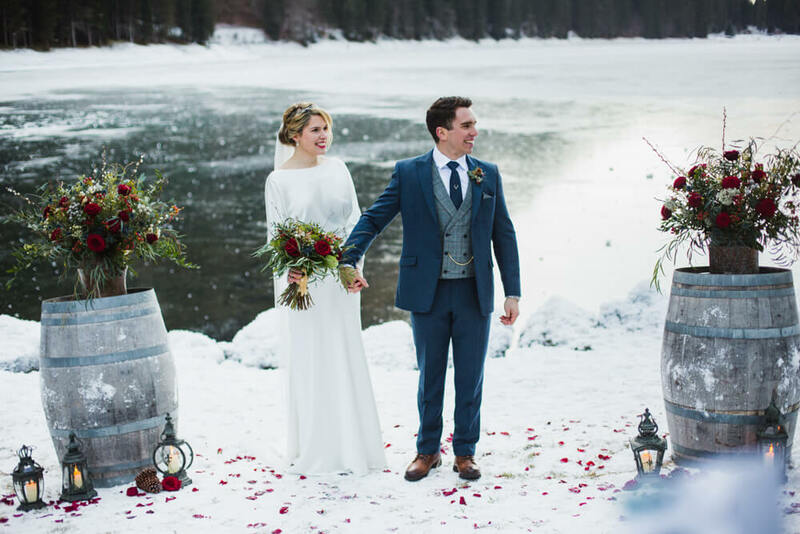 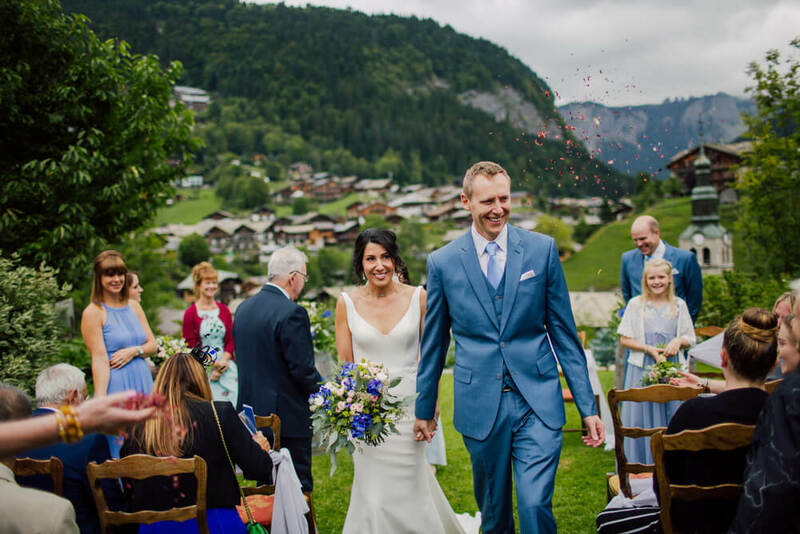 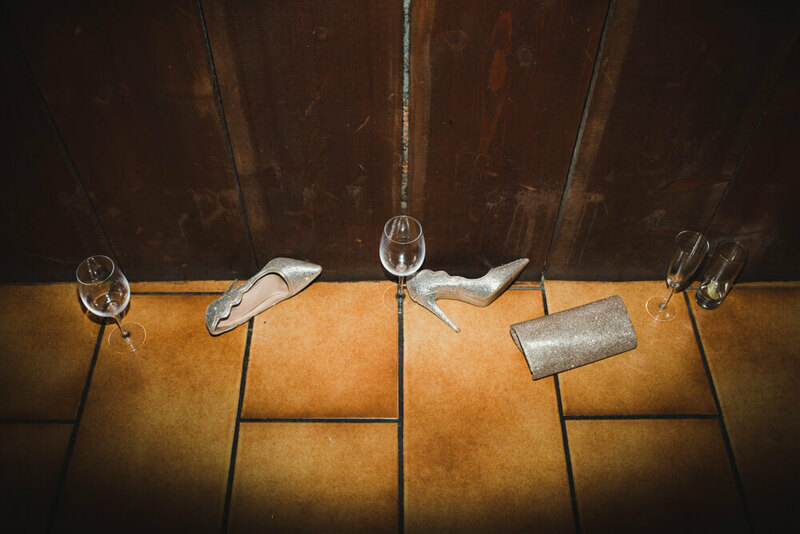 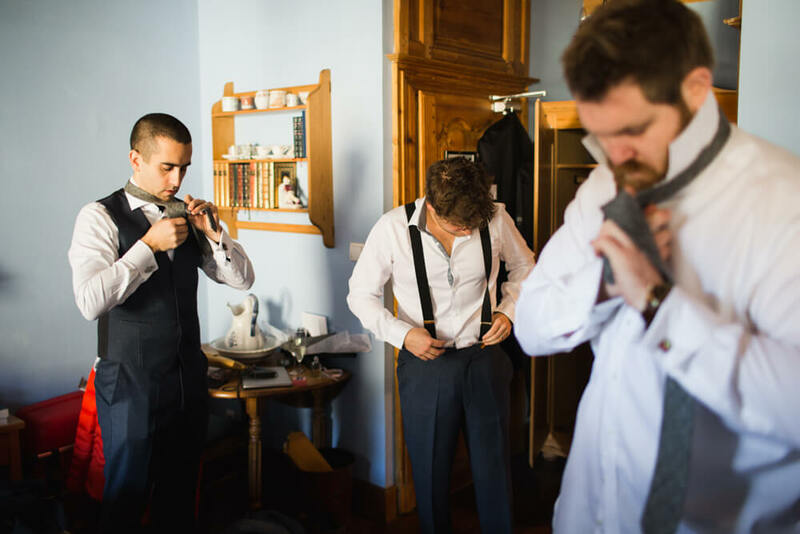 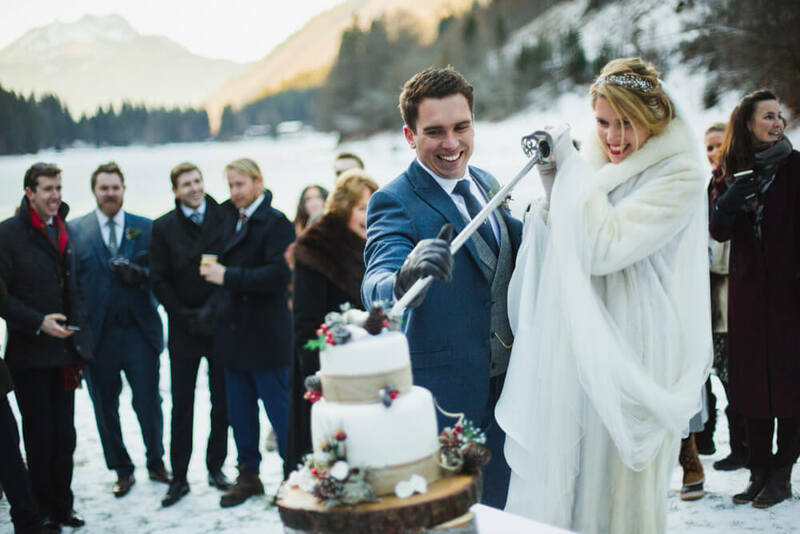 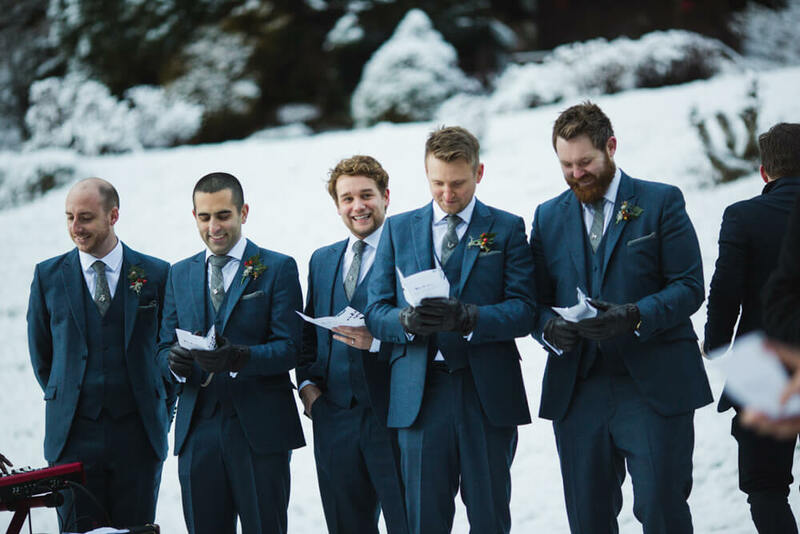 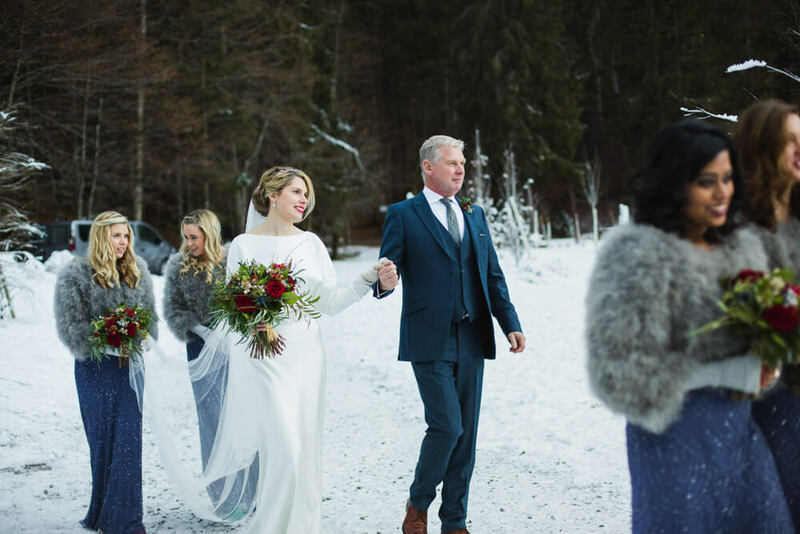 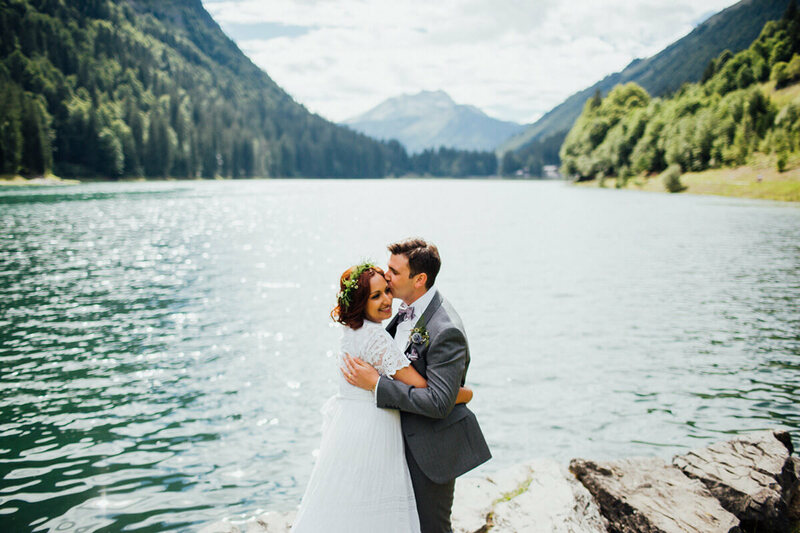 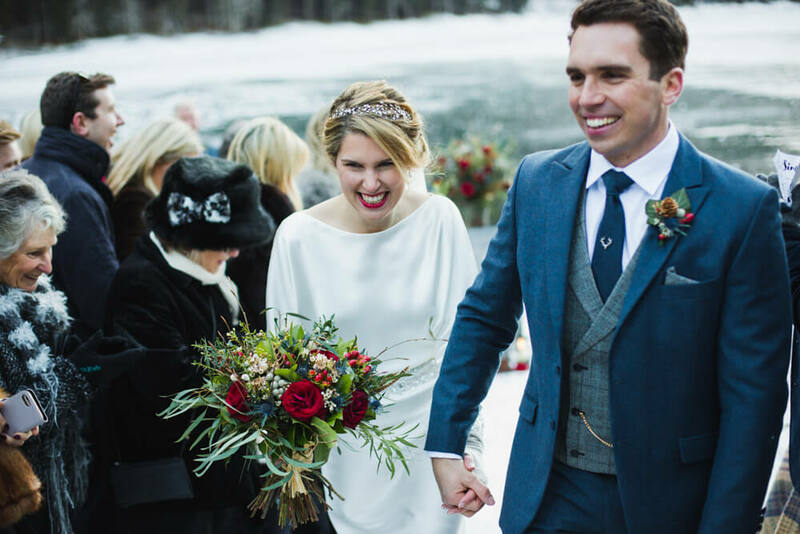 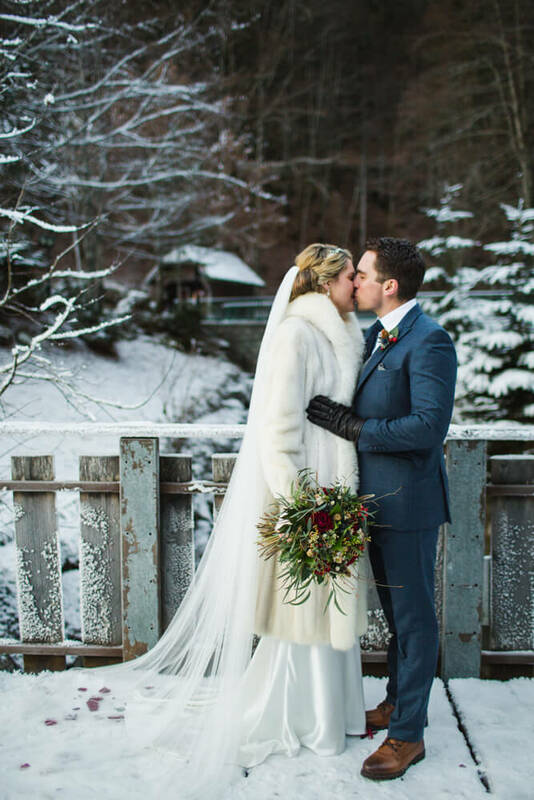 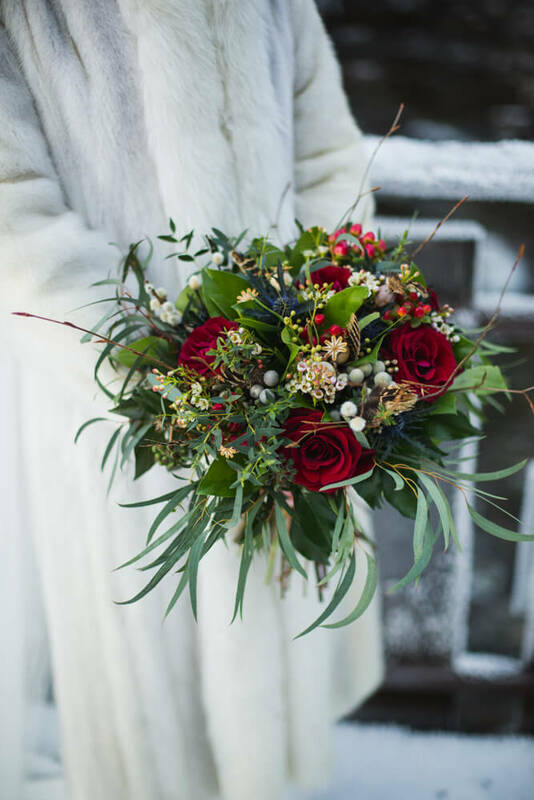 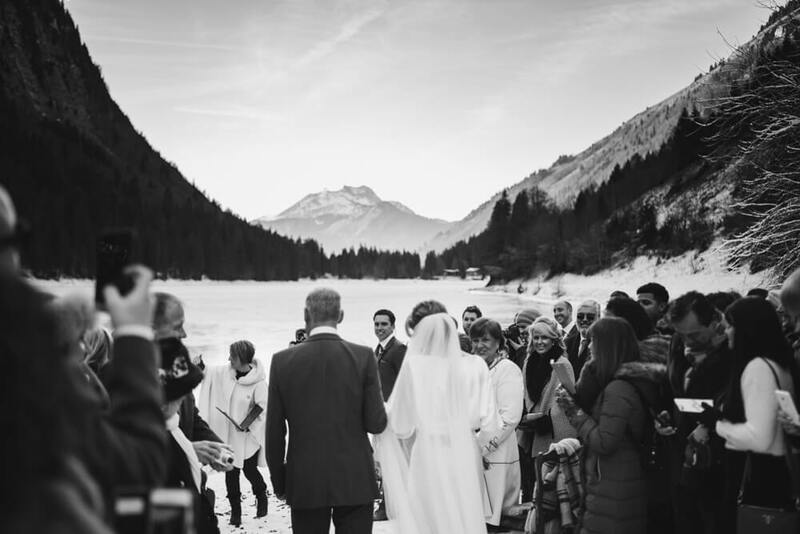 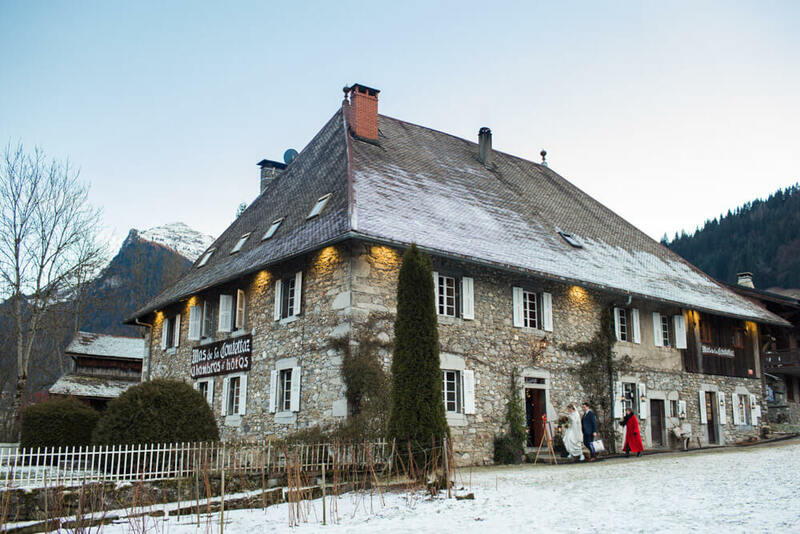 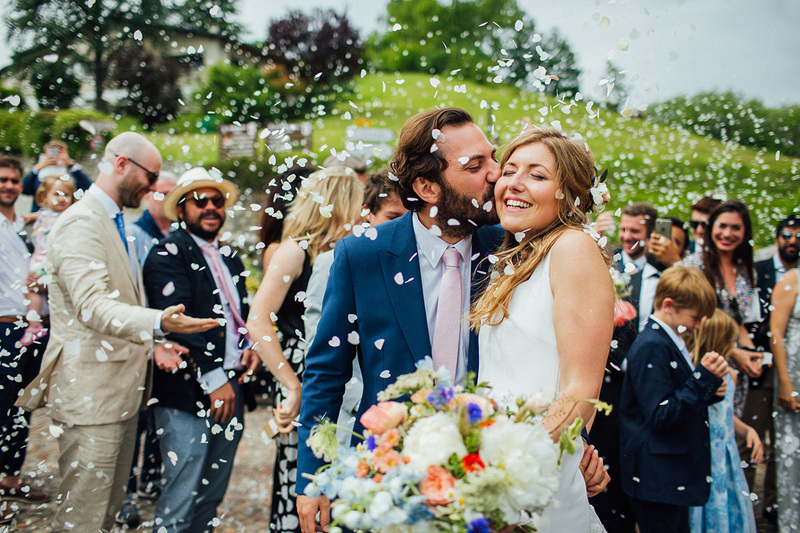 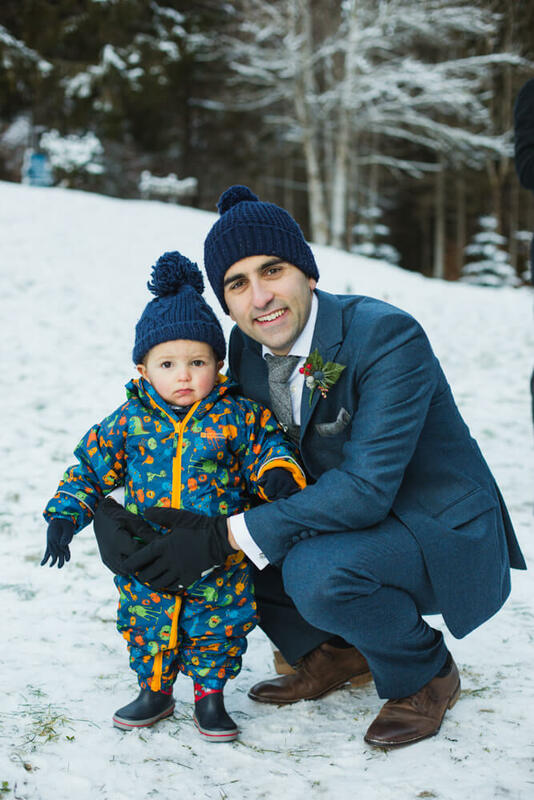 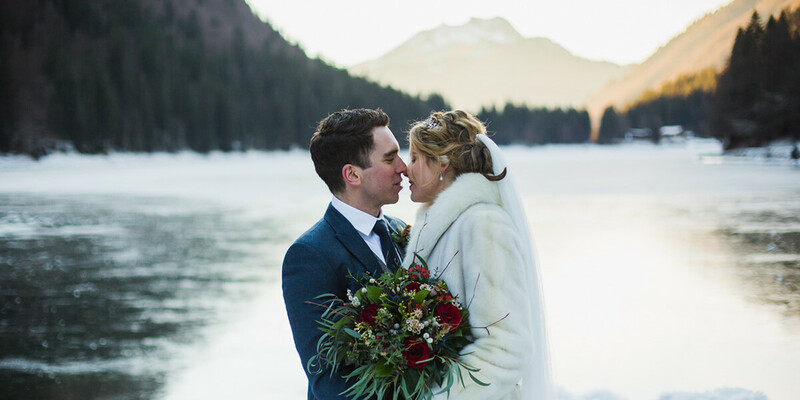 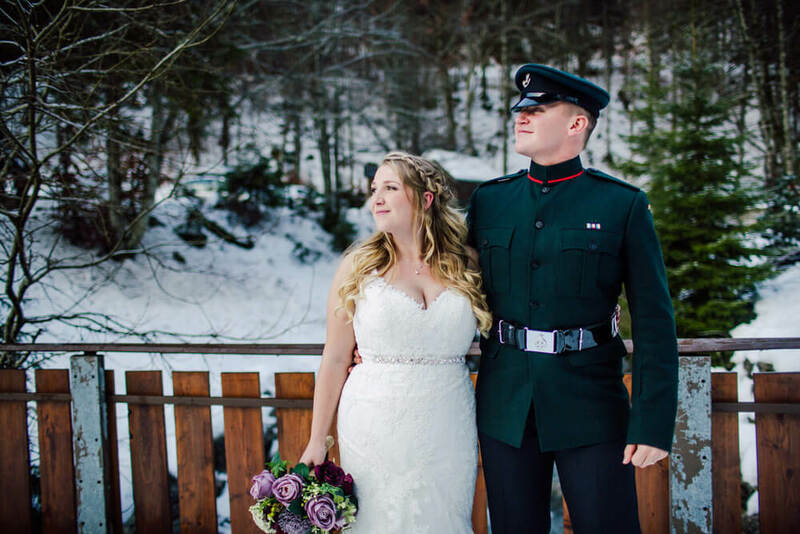 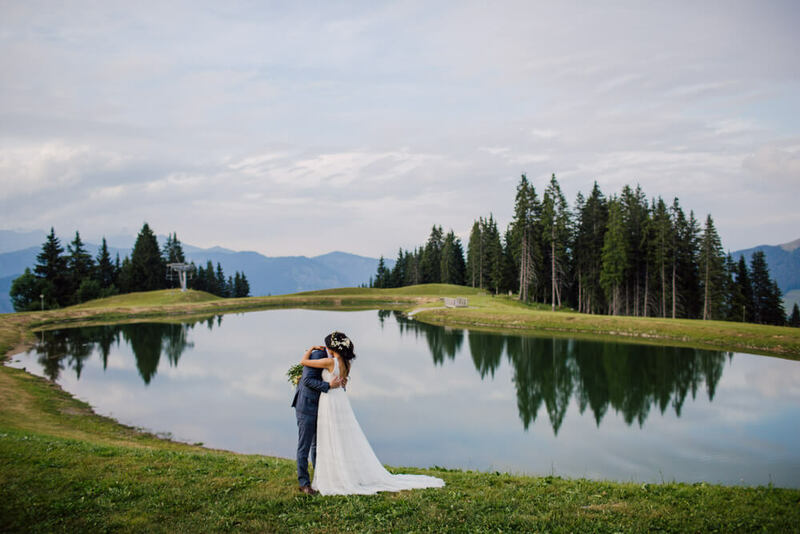 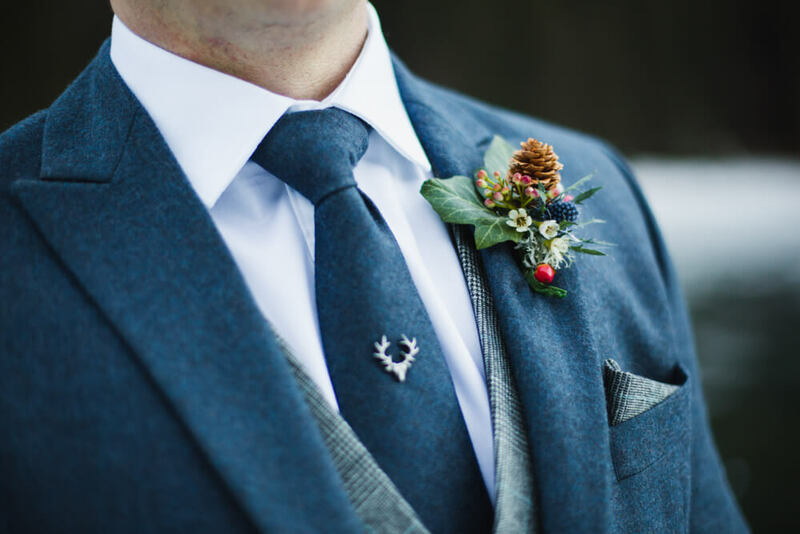 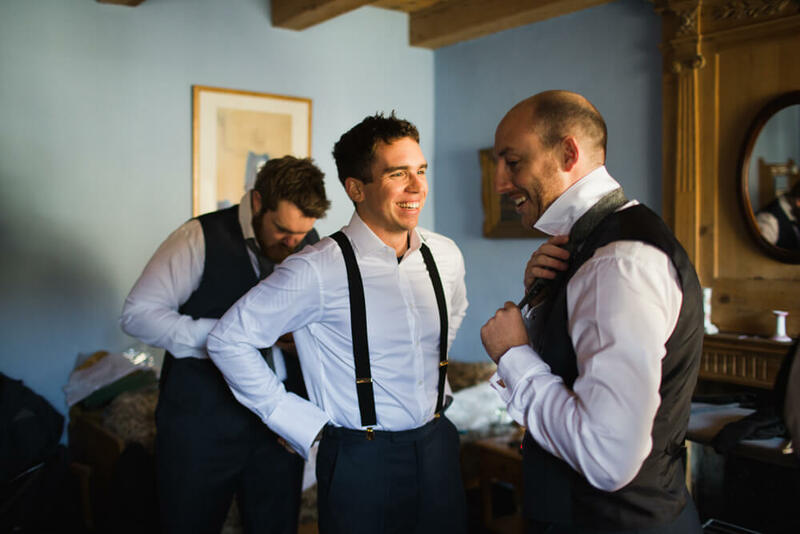 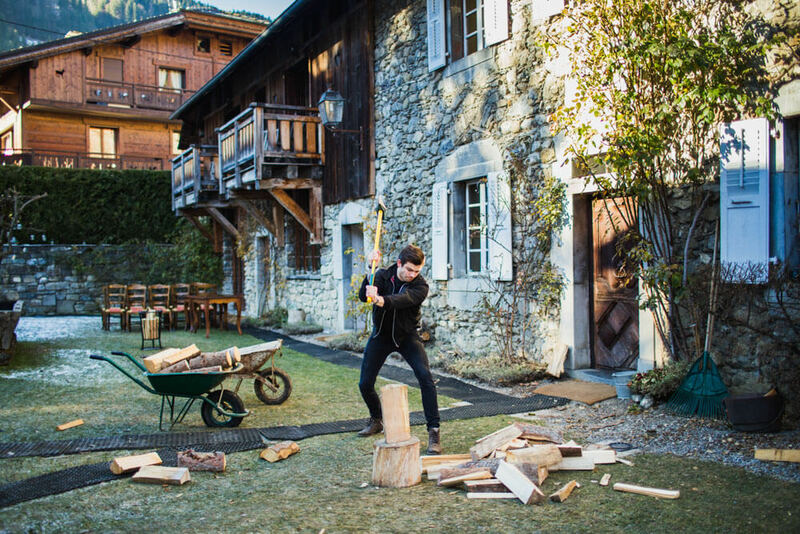 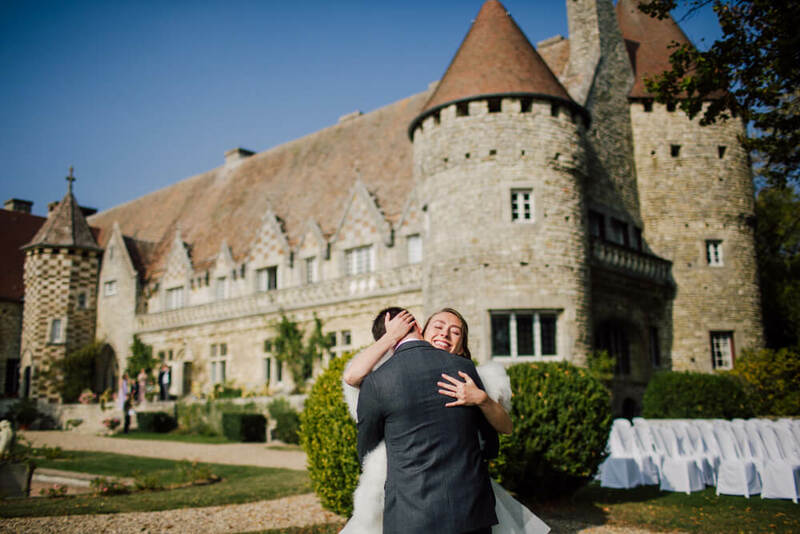 After exhausting their search for their perfect venue in the UK, Tom and Abi knew they’d found what they were looking for when they came across The Farmhouse and stunning Lac Montriond in Morzine. 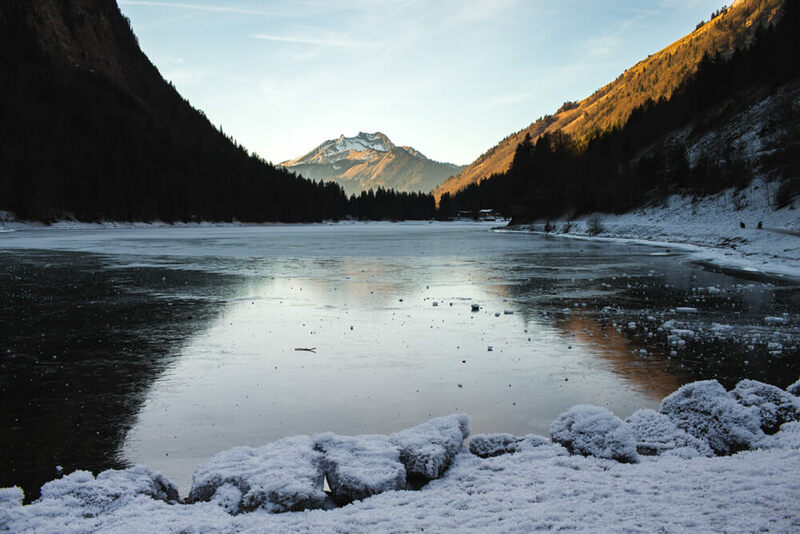 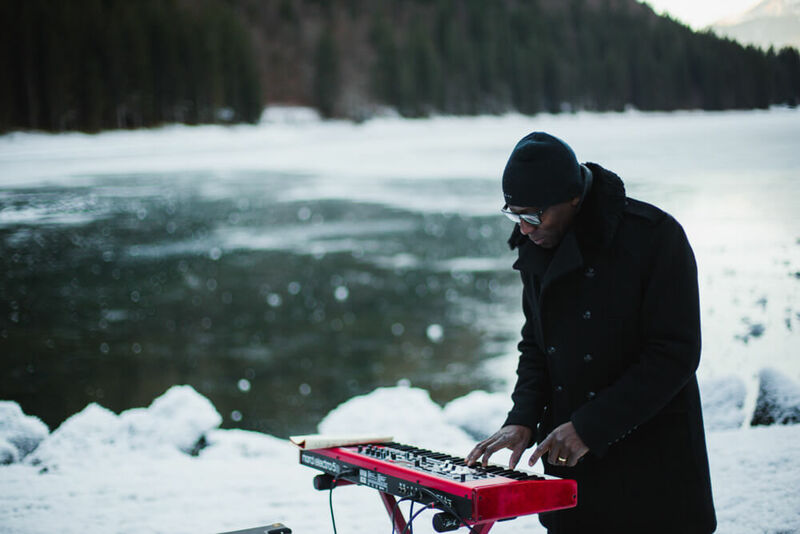 Like opening a fairy-tale book, the winter setting of the lake and mountains sparked a world of inspiration. 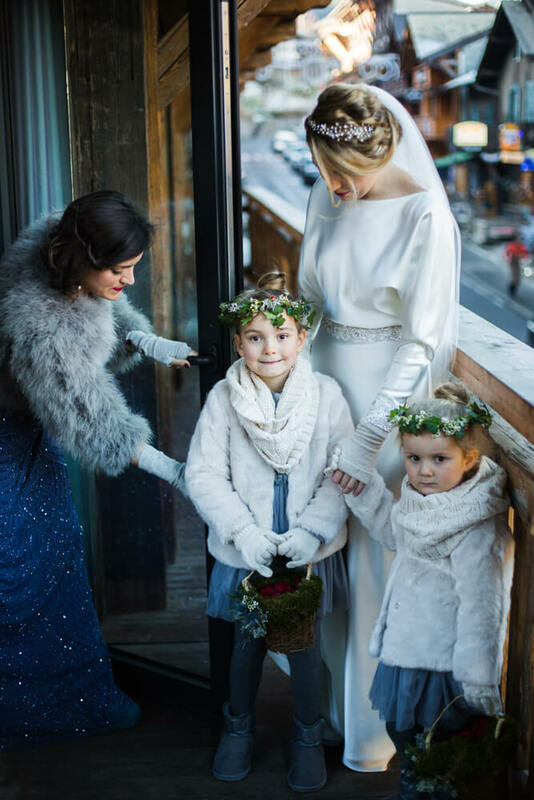 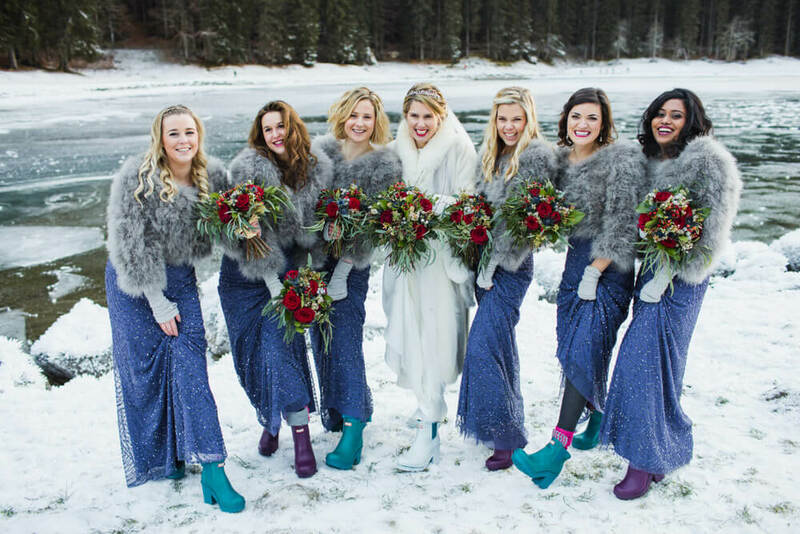 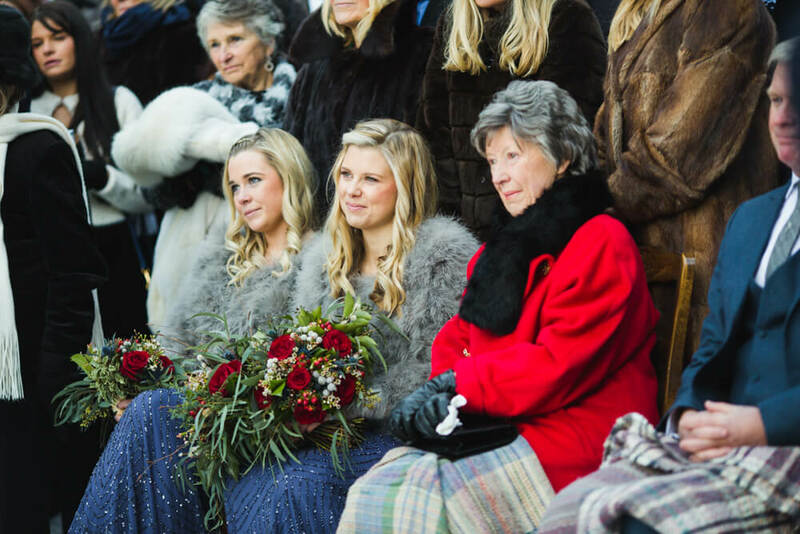 The bridesmaids’ wellie boots tucked under their sparkling blue dresses, the ‘something borrowed’ white fur coat from the mother of the bride and the startling red roses; these are just a few of the creative touches chosen carefully by the couple to bring the crisp white wonderland to life. 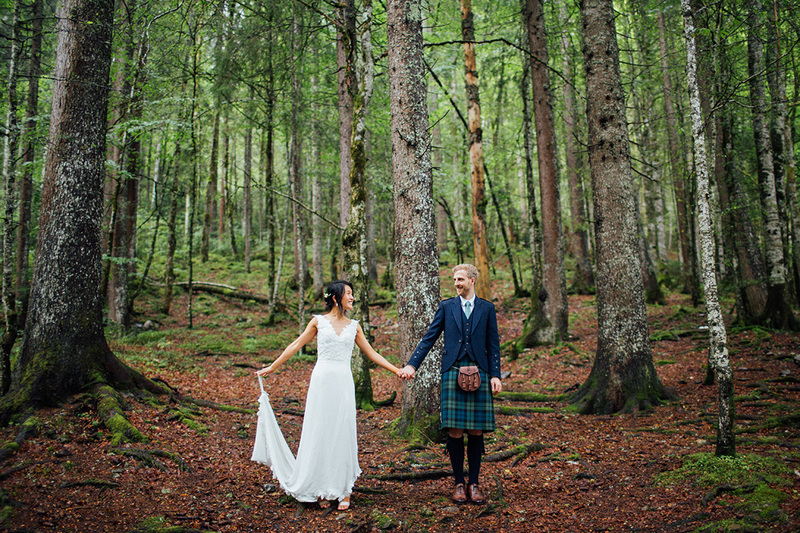 After the ceremony, when the last guests had left for the reception, I did a 30 minute shoot with Tom and Abi. 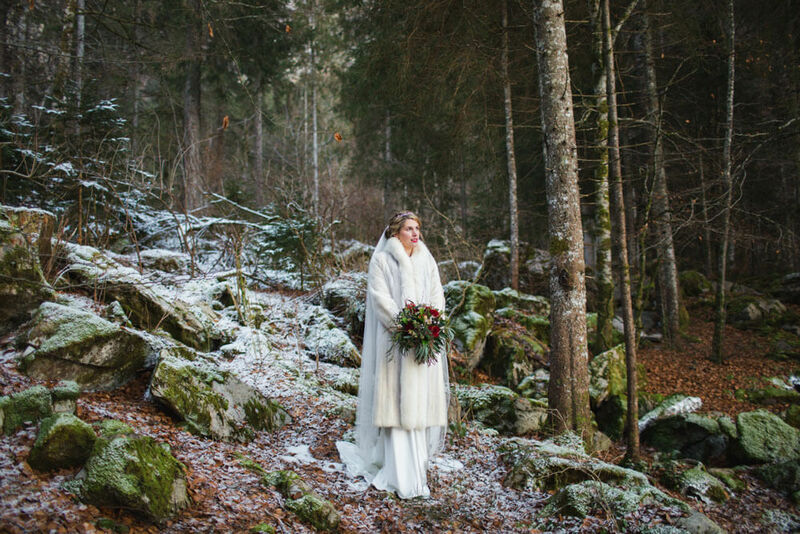 In the stunning snowy woodlands they enjoyed their moment and each other. 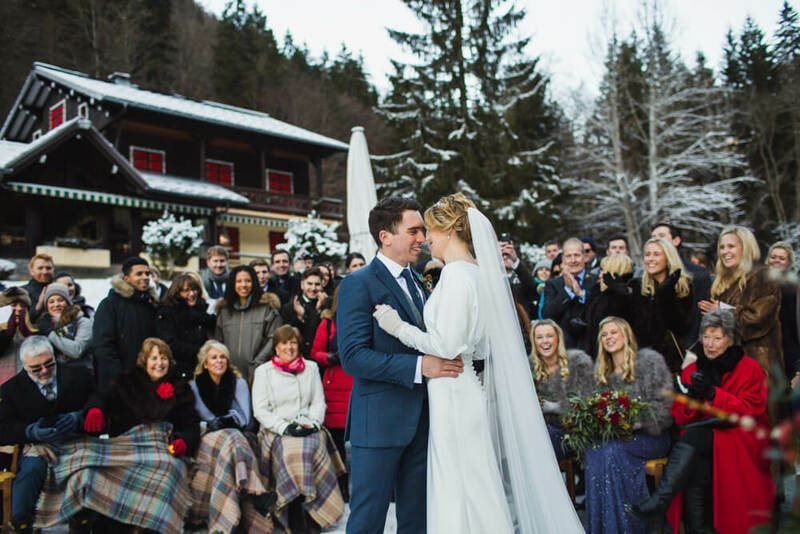 The serene setting was perfect for the anticipation and sentiment of the ceremony. 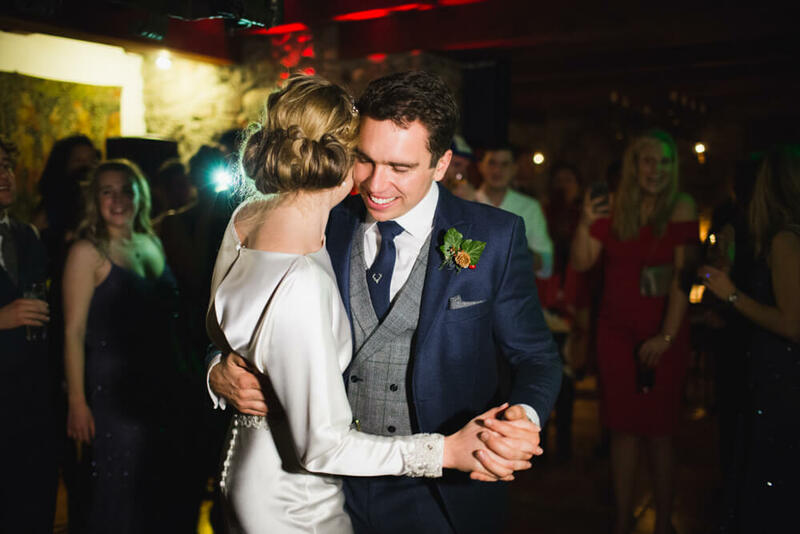 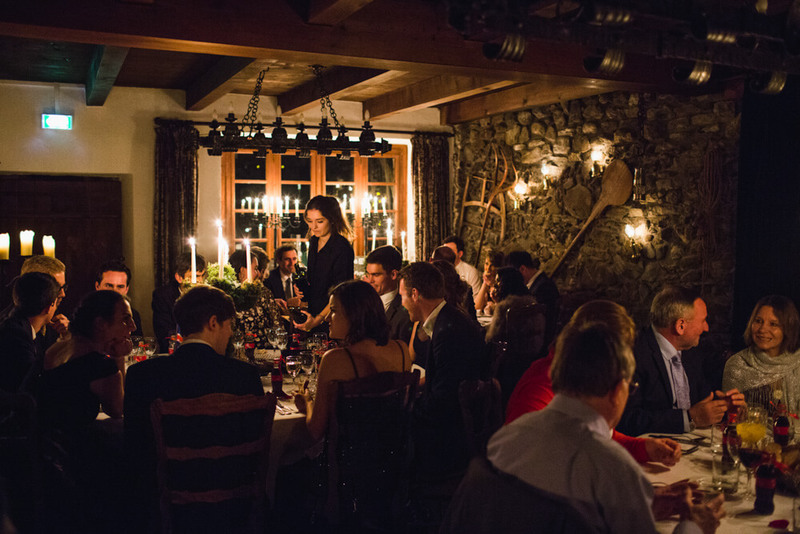 In charming contrast, the warm and cosy farmhouse invited a wonderfully relaxed vibe for the reception. 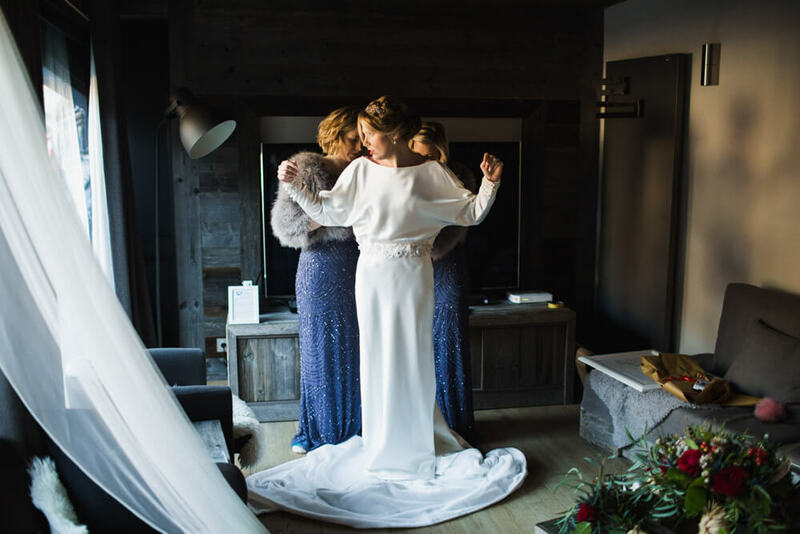 This was a magical wedding, which beautifully reflected the couple, their sense of adventure and feelings for each other.